“I’m not really a mouthpiece guy. I had played on the same mouthpieces for years, and wasn’t one of those cats constantly experimenting with different pieces, but I had a couple of friends, whose opinions I respected, tell me about Jody’s mouthpieces. I tried them and was immediately a convert. It seems as if the more popular something becomes, the less ‘realness’ and grit there is left to it. This especially holds true with music. Once you scratch below the surface, it becomes quickly apparent that the best and the coolest stuff is unlikely to be found on the charts or on TV, but rather in hip underground clubs, where one discovers players blowing up a storm with fellow heavyweights. Saxophonist Fred ‘Freddy V’ Vigdor is one such player. His accomplished, but essentially fiery and rootsy, playing has long been regarded as the ‘real deal’. Yes, his technique is top drawer, his jazz chops impressive, but it’s the relentlessly ‘down home’ feel, and the full-blooded tone, which has long marked him out as both a crowd pleaser and a musician’s musician. Fred then continued his apprenticeship in the NYC clubs and the soul, jazz and blues circuit, working both as a sideman to touring stars and also blowing out front with small combos. 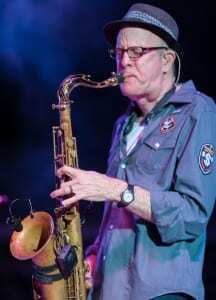 His growing reputation led to his (now long standing) relationship with keyboardist/producer Bob Baldwin, and Freddy became Bobby’s main horn man, both on record and on the road. 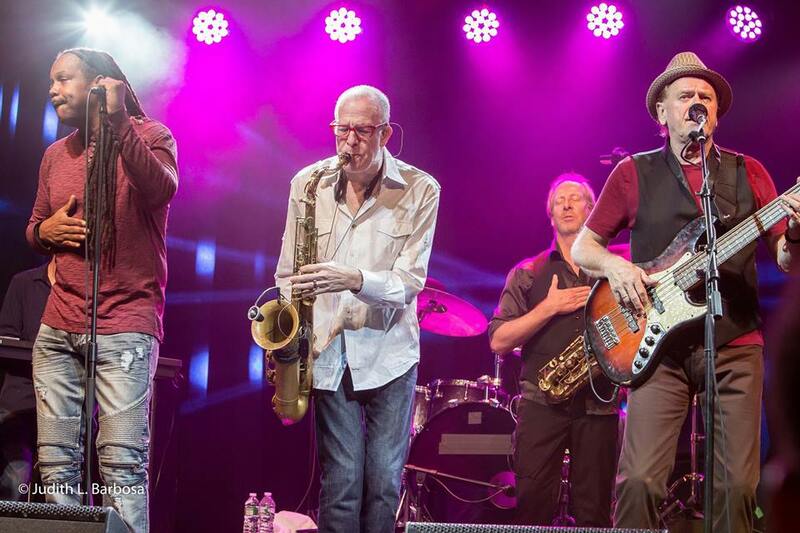 When Average White Band’s original saxophonist, Roger Ball, quit the (heavily touring) band to spend more time at home, it was Freddy V who he recommended as a replacement. Thus began Fred’s decade long membership with the seminal r&b unit which continues to this day. Fred’s role as AWB’s up-front soloist, supporting keyboardist and horn arranger has seen him touring clubs, theatres and festivals all over the world. This heavy workload permitting, Fred still found time for jamming, guesting or leading groups of fellow top drawer musicians in the best jazz and soul clubs in NYC, Atlanta (where he now resides) and, even, London where Fred’s very occasional British ‘pick up’ bands attracted players of the quality of Jason Rebello, Jim Mullen and Ash Soan, to name but a few.